Koji is steamed grain or beans upon which Aspergillus oryzae a kind of fungus, or kojikin, has been applied and allowed to grow. Komekoji is koji made with rice, mugikoji is koji made with wheat, and mamekoji is koji made with beans. Shiokoji, which has become very popular of late, and amazake, a beverage, are made with komekoji. Fermented foods are found in many countries and each one is made with microorganisms (bacteria or fungi) that cause fermentation. Aspergillus oryzae, the kojikin used to make so many foods in Japan, was discovered in rice plants and is so important to Japanese food culture that it was designated the “National Fungus” of Japan by the Brewing Society of Japan in 2006. Koji can be purchased in either fresh or dried condition. Fresh, or namakoji, has undergone no processing since culturing and contains more water than dried, or kansokoji. Fresh koji can be kept in a refrigerator for 1-2 weeks and can be used as is. Dried koji will keep for up to a year in a refrigerator, but must be softened with water before using. Koji is used to make miso, shoyu (soy sauce), sake, su (vinegar), and mirin, all of which are essential as traditional seasonings in Japanese food culture. Indeed, it is not an exaggeration to say that, without koji, Japanese food as we know it would not exist. Koji works to boost the level of umami, or savory taste, in foods and lengthens the time food can be kept without spoiling. Using shiokoji makes cooked meats juicier and results in moister fish and plump shrimp with just the right amount of firmness. Shiokoji will also prevent fish dishes from smelling too fishy. Used with vegetable dishes, shiokoji accents essential savoriness and sweetness and, as in the case of shrimp, produces better firmness. 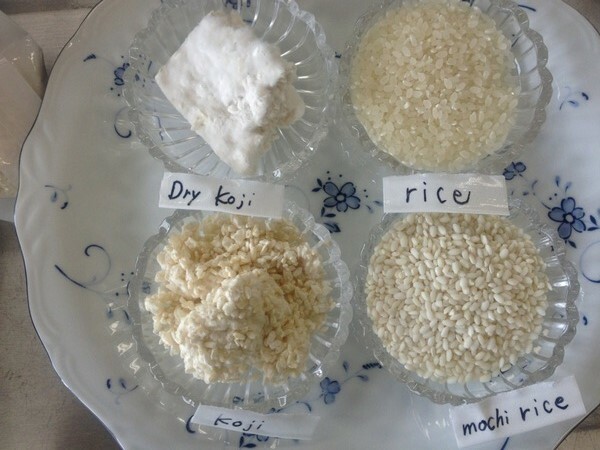 ・ As mentioned above, koji has been traditionally used in the making of products like miso and shoyu. More recently, however, it has gained – actually regained – popularity as shiokoji – a combination of koji, salt, and water. “Regained” because shiokoji was commonly used in the Edo period, but gradually disappeared from Japanese kitchens with the westernization of the diet and the shift to commercially made miso, amazake, and other products made with koji. As families stopped making these products, koji became a smaller and smaller presence in homes and eventually disappeared, taking with it shiokoji. More recently, interest in healthy diets and the rise of the foodie culture has drawn attention once again to shiokoji. ・ Shiokoji can basically be used in place of salt. When a recipe calls for salt, use shiokoji in a quantity 2-5 times the designated amount of salt. For example, if the recipe requires 1 teaspoon of salt, use 2-5 teaspoons of shiokoji. How much shiokoji to use in place of salt differs depending on the type of dish you are making, so you will have to do some taste testing to find the right amount.